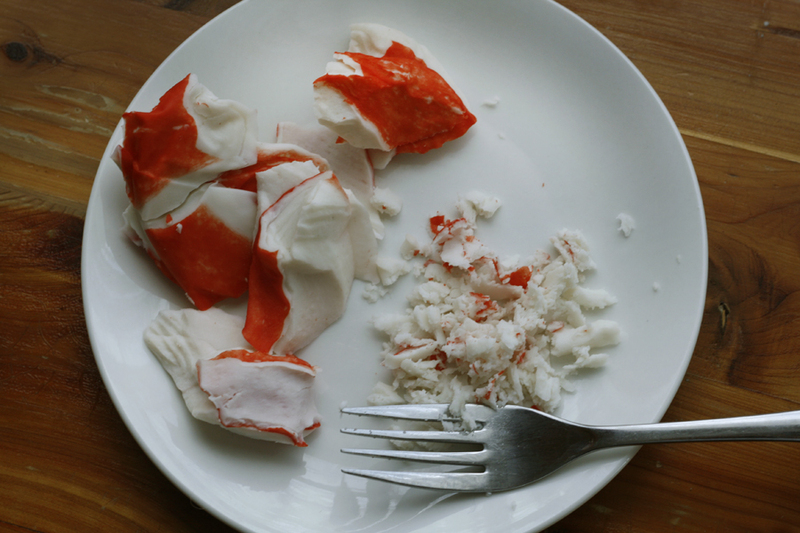 I love making sushi at home but sometimes I just don't have to time to assemble and roll the sushi rolls. 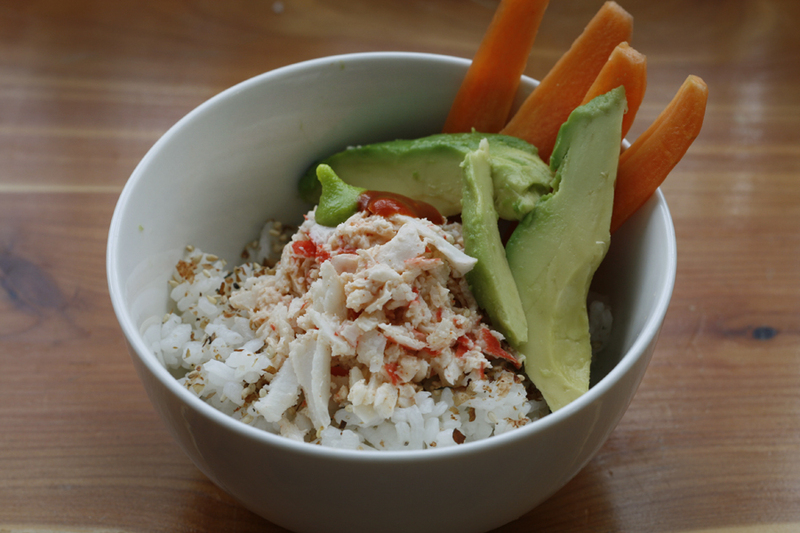 Enter the sushi bowl. It's a quick and easy meal that we SUPER LOVE around here! 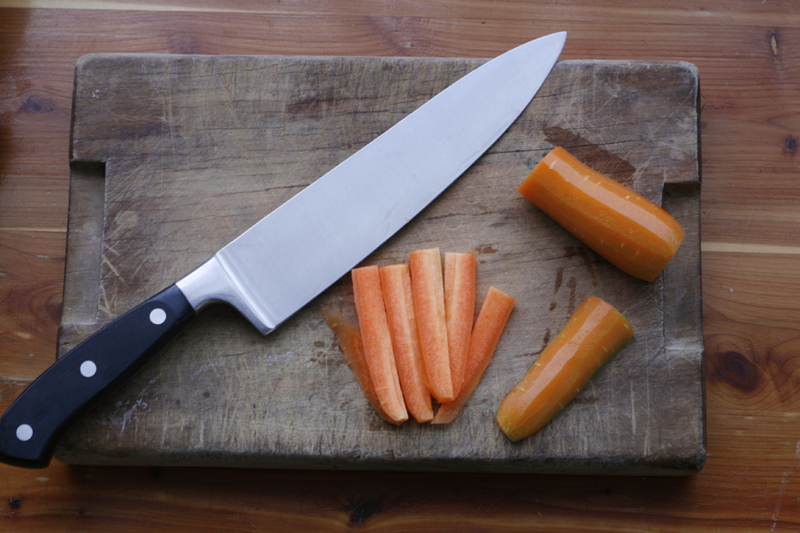 Begin by slicing the carrot into thin slices. 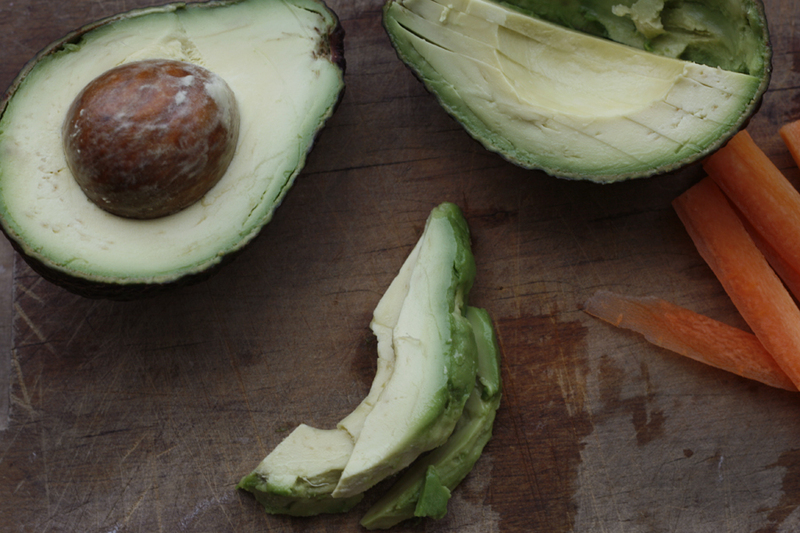 Slice the avocado in half, remove the pit, and slice into thick slices. 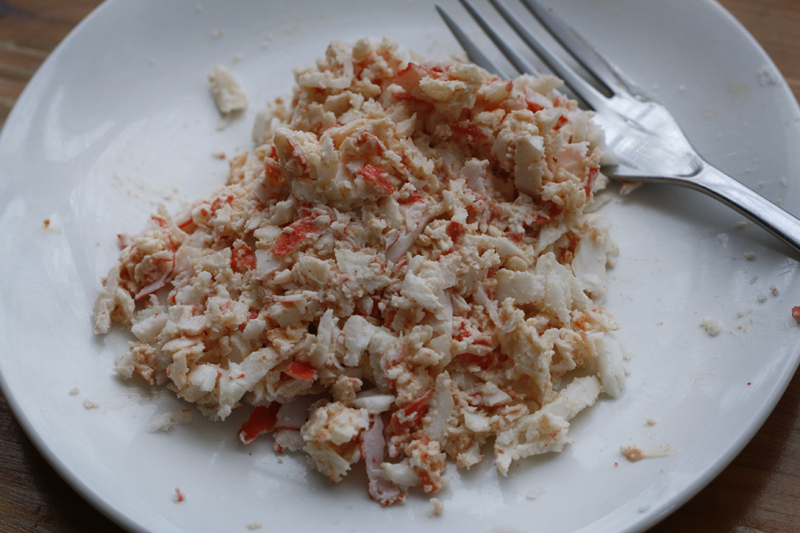 Shred/mash the imitation crab meat with a fork. 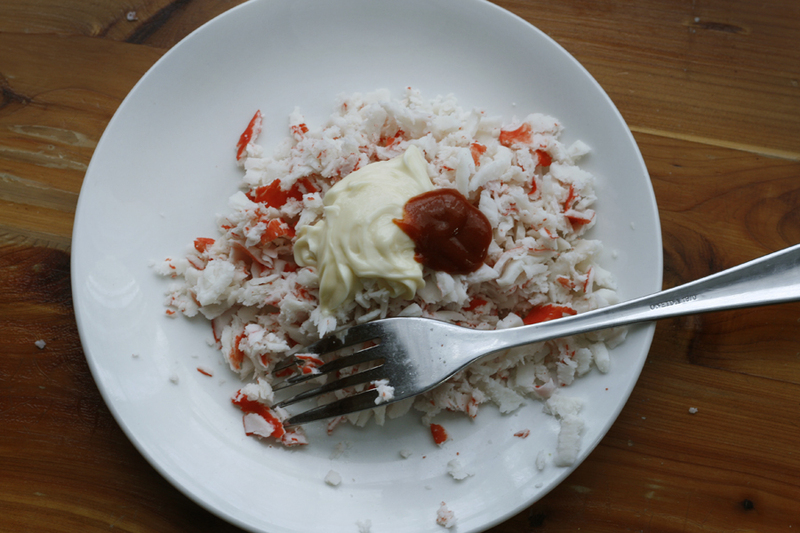 Add in mayonaise and sriracha sauce to taste and mix thoroughly. 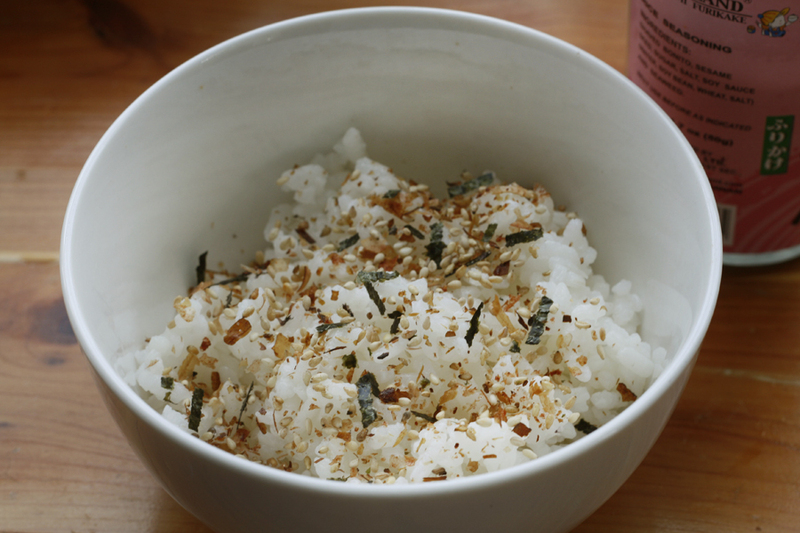 To serve: In a small bowl layer the rice mixed with sushi vinegar then sprinkle with furikake rice seasoning. 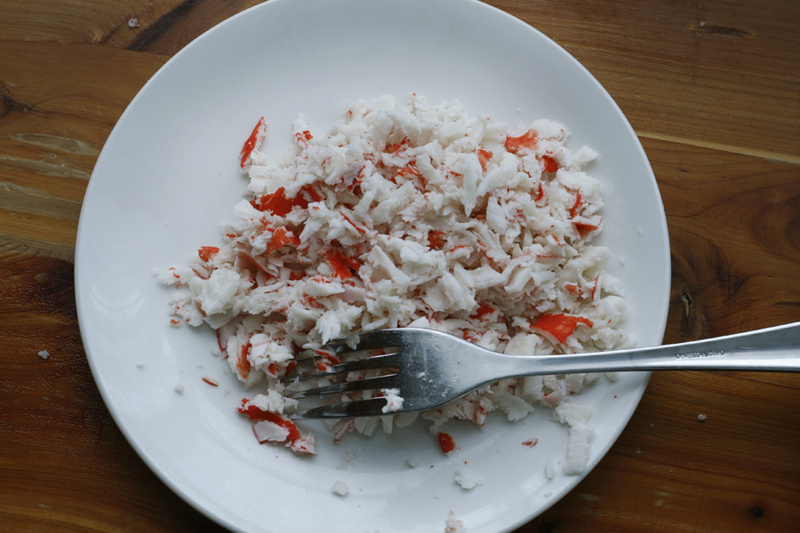 Using an ice cream scoop or large rounded spoon, gently place a scoop of the imitation crab mixture on top of the rice. 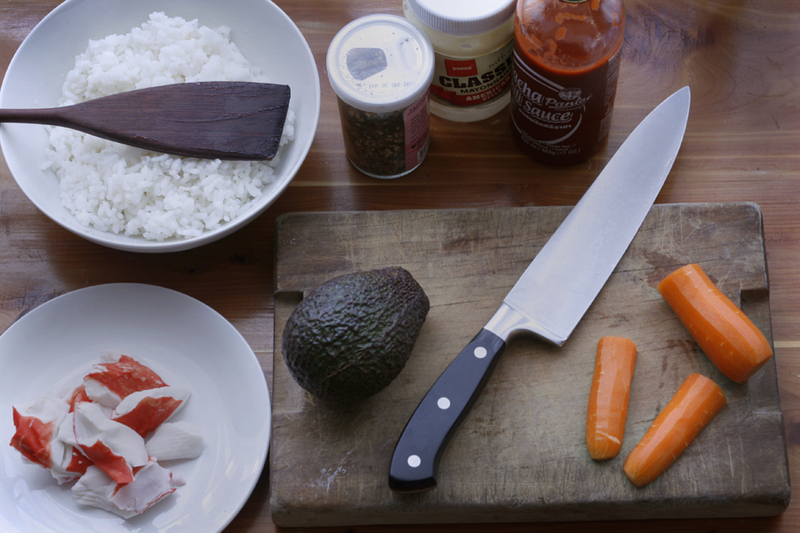 Garnish with carrot sticks and avocado slices. 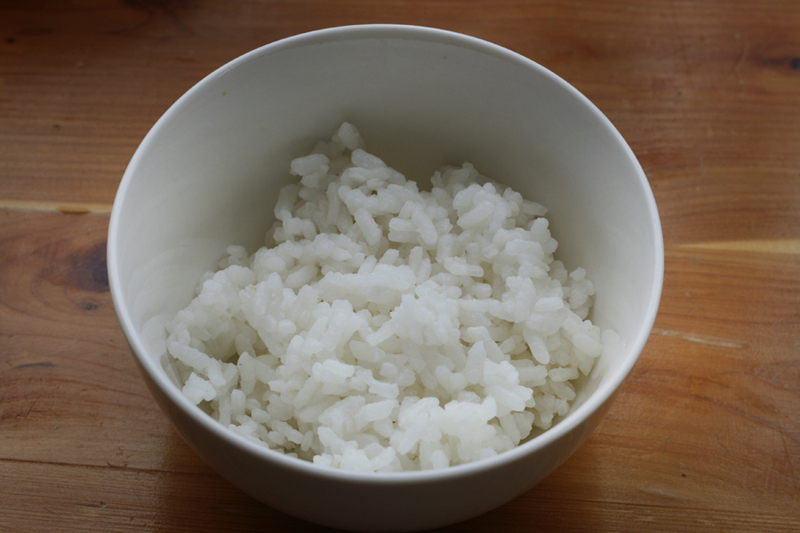 Optional: serve with soy sauce and a dab of wasabi. What a great idea! 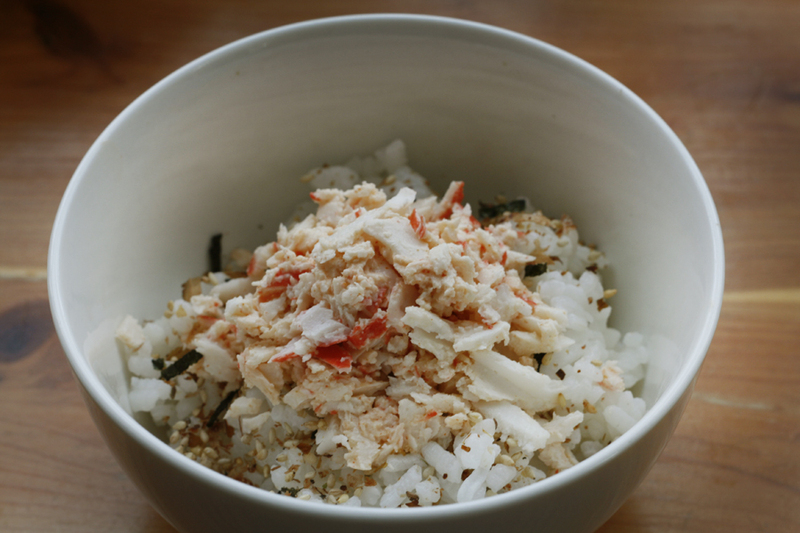 I'll have to try this for lunch this week - maybe with a wakame salad or edamame instead of the crab as I'm veggie. Most inspiring! That's a great idea! Sounds really yum. yummi yummi yummi i got love in my tummy! damn this is must have been really good, right? It was SO good. Audrey really likes it too! what a great idea!! I just discovered that I love sushi. Especially the avocado + mango california roll. I might have to try this sometime soon. 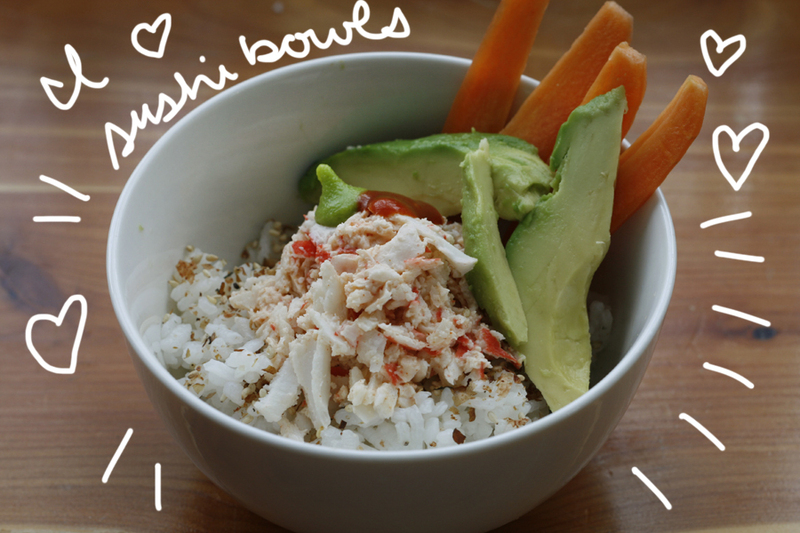 Sushi bowl! What a great idea!